YouTube Live: How to share your stream to YouTube. Start sharing your CWM live stream with your YouTube viewers using the steps below. This requires you to have a YouTube account that's in good standing and approved for live streaming. 1. 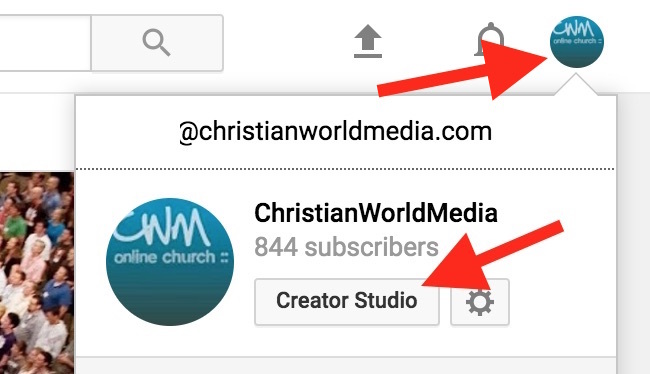 Login to your YouTube account and click the profile icon (located top-right), then "Creator Studio" as shown below. 2. Now find and click on "Live Streaming", then "Stream Now". If you have not done so already, you may be prompted to verify your account at this point. 3. Find the Encoder Setup section (located mid-bottom) where it displays your Server URL and Stream name/key. Copy and paste both the 'Server URL' and 'Stream name' settings into the proper fields located in your CWM account 'Stream Settings' page. 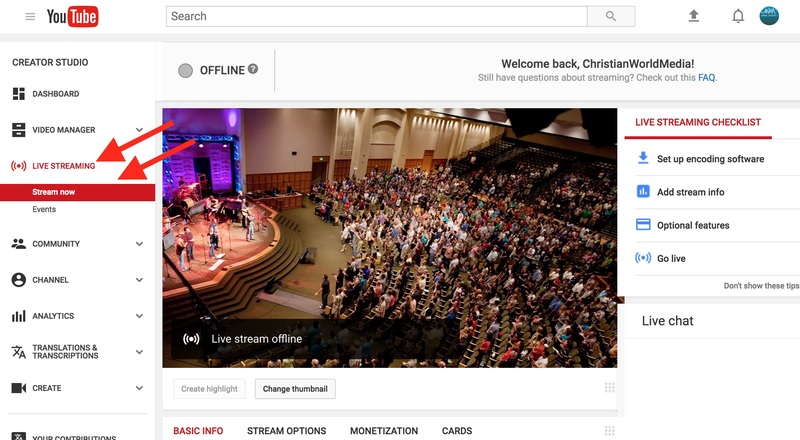 After saving all changes, your CWM live stream can now be shared directly to your YouTube account during each live event. NOTE: Unless you change your Stream name/key, you do not have to repeat these steps for each live event.